It was a great first season for the Cornwall BMX Track, and season two is already shaping up to big bigger and better. The facility in Guindon Park has been selected by USABMX and BMX Canada to host a DK Gold Cup Regional Qualifier in June 2019. It’s one of the biggest BMX events on the calendar and it’s expected to attract upwards of 250 competitors from across eastern Canada and the United States. “There are only two other annual events that are bigger in BMX and those are National and Grand National races,” said Dan Drouin, President of the Cornwall BMX Club. 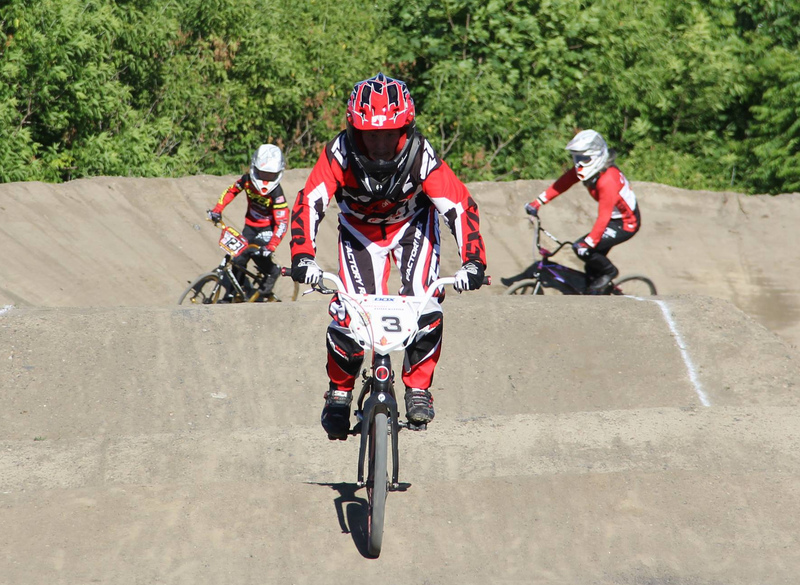 It will be a three-day event spread out over the weekend of June 21-23, starting with a local race on a Friday, the DK Gold Cup Regional Qualifier on Saturday and a BMX Canada Provincial Qualifier on the Sunday. In addition to the competition, participating families will have plenty of time to explore the Cornwall area. The race weekend will be open to all riders who hold a BMX Canada/USABMX licence. Located off of the Floral Drive entrance to Guindon Park on Vincent Massey Drive, the Cornwall BMX Track is one of North America’s newest BMX tracks. It also holds the distinction of being the longest BMX Canada sanctioned track in Ontario. The track is home to the Cornwall BMX Club which holds race nights at the facility throughout the summer. For more information on the track and the Cornwall BMX Club, please click here.